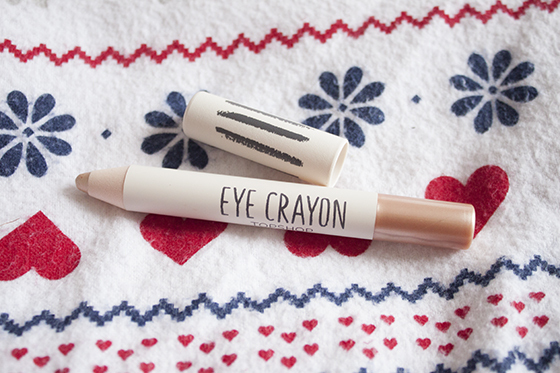 Topshop Eye Crayon in Marble is a beautiful edition to the Topshop Makeup range. 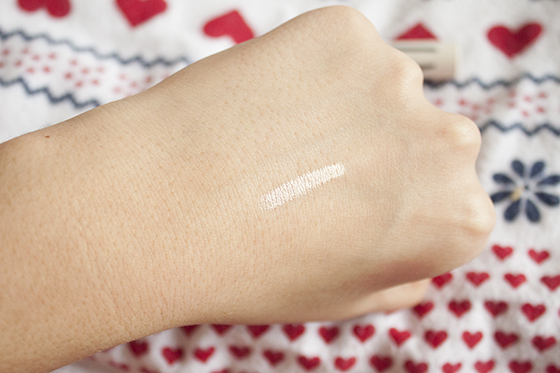 It's a subtle soft creamy rose gold shade that adds a lot of brightness and pop of warmth the eyes. I think you all know I very rarely do hand swatches but I found this ridiculously hard to actually show on my lids hence the swatch. The colour once applied looks very soft and golden but when it transferred onto the lid and blended out it looks like a subtle soft champagne base. The colour isn't very noticeable but it does leave a pretty sheen on the lid. The product applies well and is easy to blend and lasts a average ammount of time on my non oily kids. 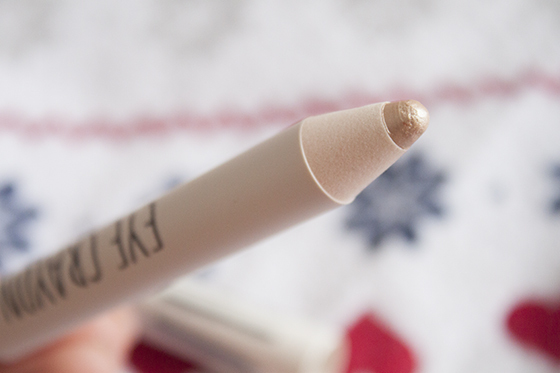 Overall I was impressed by the eye crayon, Topshop have recently launched their Eye Crayon and some other shades in their eye crayon range including Rust, Gold Digger and Kingfisher. Rust looks like a really interesting warm bronzy shade but I have no idea how the colour would transfer to the lid. I think it works better as a shadow base than an actual eyeshadow colour. Marble is ever so slightly hard to work with as the colour is barely there once blended out. I also felt on me it slightly creased after a few hours and if it was either prepped with a eyeshadow primer like Urban Decay Primer Potion or layered under a nice eyeshadow like MAC All that Glitters it would work a lot better. 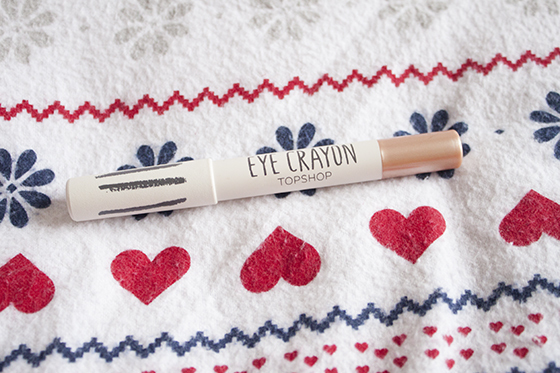 I cant see myself buying another one of these as I just don't think they are as amazing as they could be which is a shame as the Topshop Makeup range on the whole is a great collection of products.